I finished up my Sherbet Pips baby quilt and LOVE it. I knew I loved this line, but it is just so cute all together. The colors are great, and can I mention how fantastic this gray is??? You know how gray can be a tricky color, sometimes it looks a little purple-y? Well, this is a good one, really it is. my favorite part?? the rounded corners. I've never done this before on a quilt, mostly because it requires bias binding and that means a little extra work. But after doing a million potholders, I'm no longer intimidated by it. I might even actually enjoy it. Plus it's totally worth it for the rounded corners. One more thing about this fabric...it's super duper buttery soft. I guess I just can't say enough about how much I love the Sherbet Pips. I believe it's set to be released in April. The verdict on this tutorial--I liked it. I didn't have a problem with the edges being cut on a bias. I do have an integrated walking foot on my machine, but it all came together nicely without stretching of fabric, and it lays FLAT. I think it's worth giving it a try! This looks great! I love the off-centerness of it. The rounded corners give a little softness to the rigid diamond pattern. Good work! i absolutely love it nettie!! Oh, it's LOVELY! I agree - the rounded corners are perfect. What a great idea. This is darling! Can't wait to get my hands on some pips! I love this!! I'm absolutely looking forward to the release of this fabric... it's too cute! 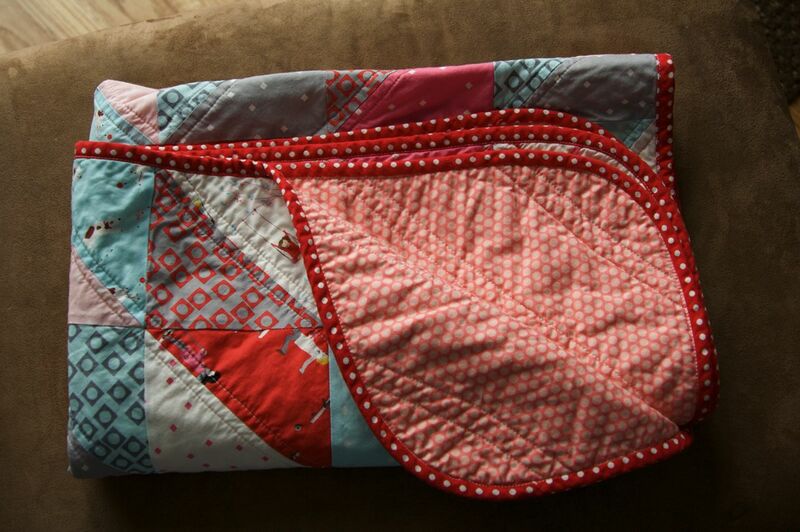 I love the quilt and the rounded corners. 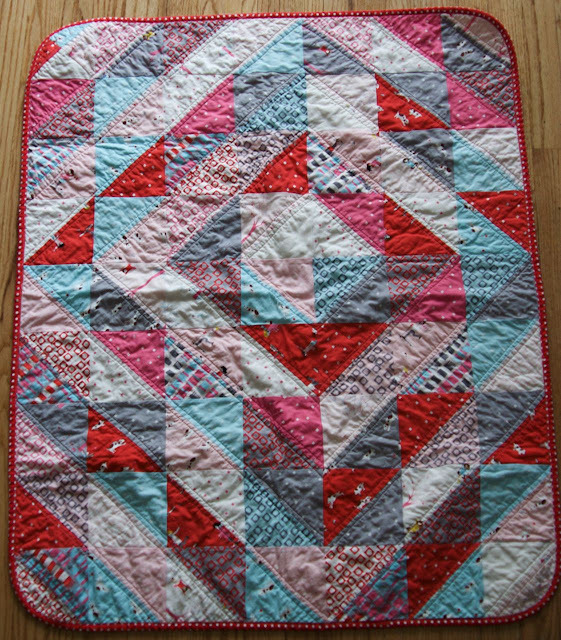 beautiful baby quilt!! The rounded corners are perfect! Can't wait for Pips in April!!! That looks great - I especially like how you used the quilting of offset the pattern a bit! I'm definitely going to buy up the greys on Sherbet Pips - they are lovely! 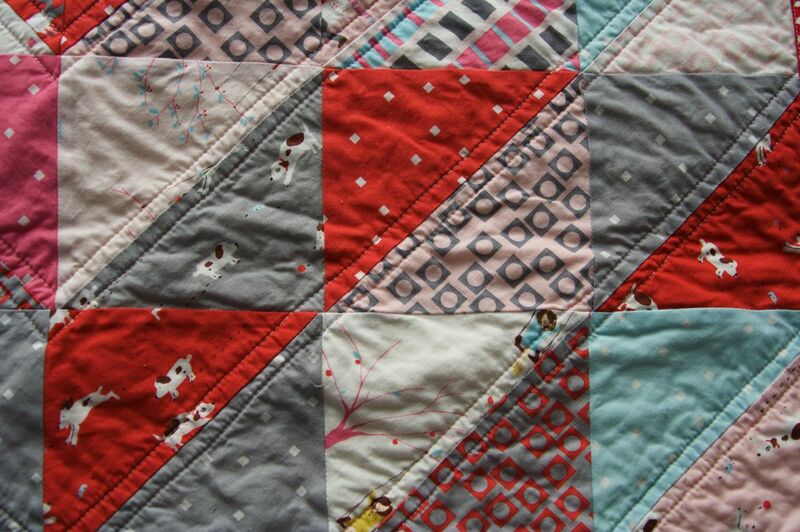 I really like how you off centred the quilt pattern and those rounded edges! You'll have to try the scallops next. Nettie - what size blocks did you start with for the "fast and easy" tutorial? I have watched it and think it's great - and would save a ton of time. Did you start with 5" charms or cut squares of another size? this is so adorable...i really love those rounded corners. Love the rounded corners, but I might be to nervous about the biasing to follow you down the road. Beautiful quilt. Oh so cute. I LOVE this fabric (so far I only have a charm pack) and I'm super excited to get more. The rounded corners are awesome. Can't wait to get my hands on some of those Pips!!!! Oh, it looks lovely! I keep meaning to try finishing a quilt with rounded corners, but I keep forgetting until after I've attached the binding! I love this quilt and the rounded corners are really fun. I really enjoy your blog! I so badly want to get my hands on some of that fabric. I love this quilt. I have loved everything I have seen so far with the pips! :) I agree that the rounded corners really make this one. Great job! That is so cute!! 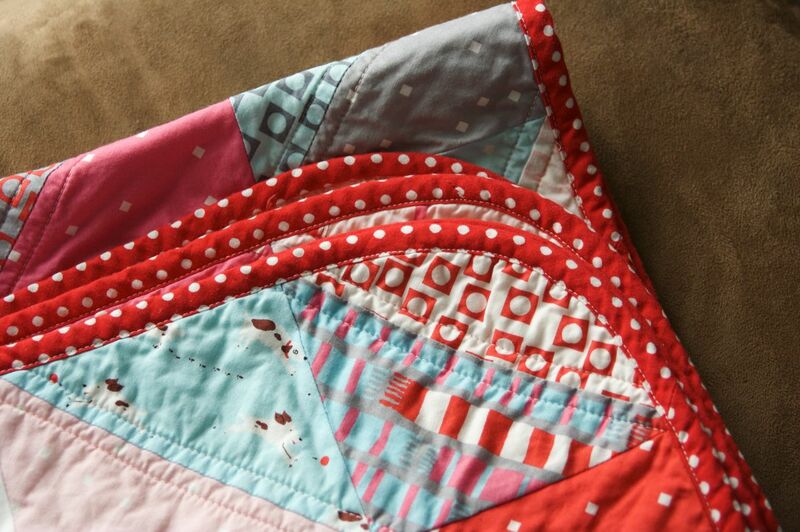 I love the rounded corners - it really sets the quilt apart! And of course, Sherbet Pips - - ooooh, I want some of that!! This is beautiful! I can't wait to buy some of that fabric. Thanks for posting the link to the tutorial as well; I am definitely trying that out. Nettie! Your choice of fabrics are always fantastic---this is adorable! I can't wait to get my hands on some Pips!! The babyquilt itself if gorgeous--you're right, the gray is perfect. But mostly thank you for pointing me to the tutorial. I made my niece a pinwheel baby quilt two years ago (using the sew two lines and cut down the center method) and was just telling my sister last week I'll never do pinwheels again. But wow--could it get any easier than the tutorial?! I ordered some Sherbet Pips last night and can't wait till they arrive! I love this so much! Great work on the rounded corners. 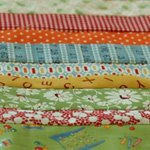 I'll have to give that a try at some point, but after making a whole quilt, I'd be so nervous to hack off the corners and ruin it! I love this line and have some I need to play with. This is beautiful! Love the rounded corners. This is so cute! I've been eagerly waiting for yardage of this to come out. AWESOME! I love that pattern. Seriously that quilt is fantastic. okay, this is gorgeous! i love the layout, and those rounded corners are wonderful. I need to cut into my layer cake, but I just cant decide what to do with it! those rounded corners are so nice. Love your quilt. Quick question, did you start with a charm pack?? Maybe I'm just not seeing it because I don't work with them that often, because you showed the picture with them rolled up, and not in the traditional flat square.